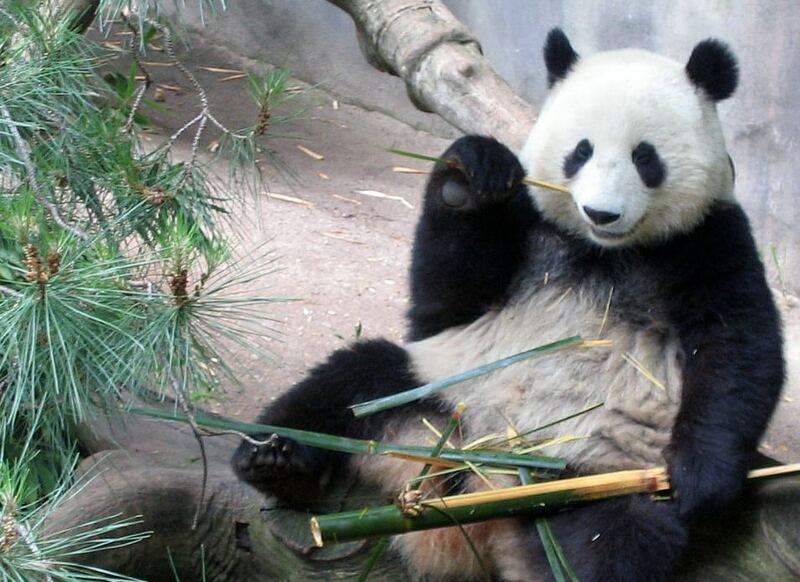 When we talk about bamboo we often think of the versatile plant as a snack for pandas (or for us! ), or something our friend has just installed as flooring or furniture in their new house. Some of us may even have lucky bamboo plants sitting in our offices – anything to boost our chances at buying that winning lotto ticket, right? In its natural state, bamboo fiber is naturally moisture wicking, hypoallergenic and strong as it is silky, making it the perfect material to add to bedding like sheets and pillows (see our top bamboo sheets picks). We’ve put together a comprehensive guide to just how the bamboo plant becomes a textile and what parts of the manufacturing process you need to focus on when deciding if the bedding is right for you. Bamboo fiber comes from the species of bamboo that is most like timber (there are more than 1,400 species altogether). The manufacturing process of bamboo fiber varies based on the desired fabric production. In general, the plant is harvested – at an age specified by the manufacturer – and taken to a facility where it is crushed and often immersed in a liquid mixture – this varies but is often sodium hydroxide. During this process, the bamboo cellulose is dissolved. A chemical – carbon disulfide is frequently used – is then added to the solution which allows the fibers to be regenerated and drawn off the plant. Once the fibers are removed from the plant, they are then bleached, dried, and ready to be woven into a fabric or textile. How Is Bamboo Fabric Made? There are three different types of bamboo fabric on the market today. The main differences in these are based on the manufacturing process of the fibers used to weave the fabric. Bamboo Rayon (Viscose): You may notice that bamboo sheets and other textiles feel a lot like the silky smooth texture of rayon. That’s because rayon fabrics are created with essentially the same process – the natural material is converted into a fiber through a chemical process. This process is commonly referred to as a viscose process (the bamboo is dissolved in a viscose solution). The main concern with this manufacturing process is the use of toxic chemicals, like carbon disulfide, in the fiber manufacturing process. Recently, the Federal Trade Commission has cracked down on the labeling of bamboo products, like sheets, as 100% Bamboo. According to the FTC, the process of making Bamboo rayon strips the fibers of any of their natural health benefits, including anti-microbial properties. 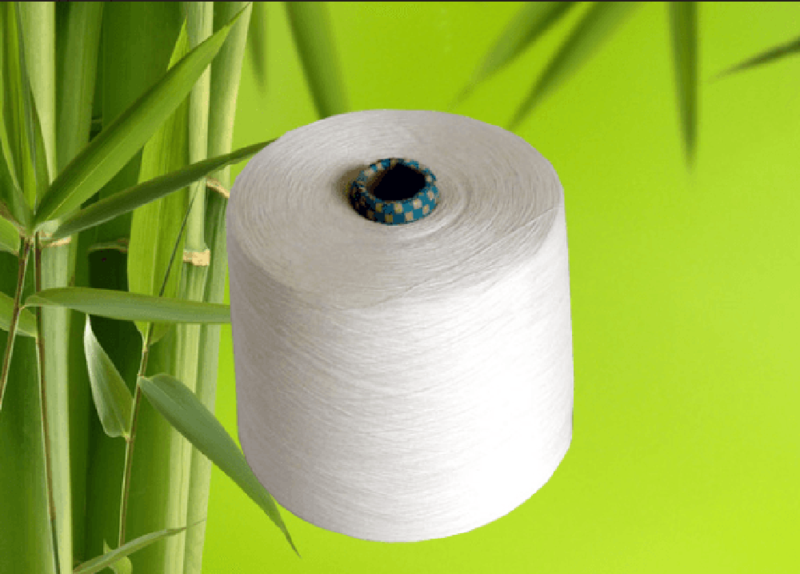 Tencel Bamboo (Lyocell): Bamboo products made with fiber manufactured through the lyocell process (can be found under the brand name Tencel) are considered to be a more eco-friendly alternative to a viscose fiber and rayon bamboo fabric. Lyocell fibers are created with the same regenerated cellulose fiber process, but involve the use of non-toxic solvents to dissolve the bamboo and the use of a closed- loop system (think minimal waste and low emissions). Water consumption is also reduced in this process and has been used by environmentally conscious brands as a greener and more sustainable processing option for bamboo fabric. Fabrics will be labeled as Bamboo Lyocell. Bamboo Linen: The fabrication process for bamboo linen is the same as other linen fabrics like cotton. And just like those linen pants sitting in your cotton, the fabric tends to wrinkle easily. It is also not considered as soft as viscose processed or lyocell processed options. 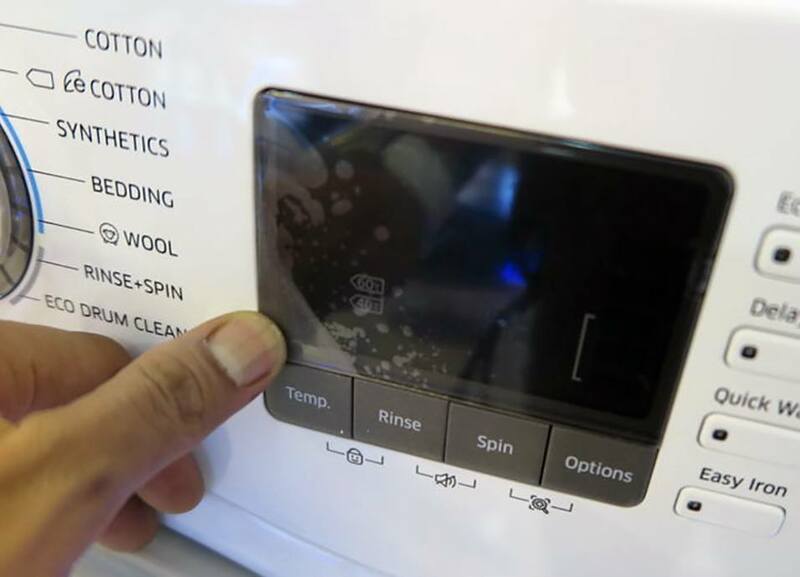 While it is a durable option, it will be higher maintenance (unless you love ironing!). Fabrics will be labeled as Bamboo Linen. A Bamboo/Cotton blend is also on the market. It tends to be 60 or 70 percent bamboo rayon and 30 or 40 percent cotton, which makes it stronger than 100 percent bamboo but not as soft. The bamboo plant contains natural antibacterial and antimicrobial properties. Organizations like the Natural Resources Defense Council and the Federal Trade Commission (FTC) say that when bamboo is manufactured into rayon, no trace of the original plant is left. Does Thread Count Matter in Bamboo Sheets? Cotton sheet quality is often thought about in terms of thread count (though I don’t think this should be a hard and fast rule). 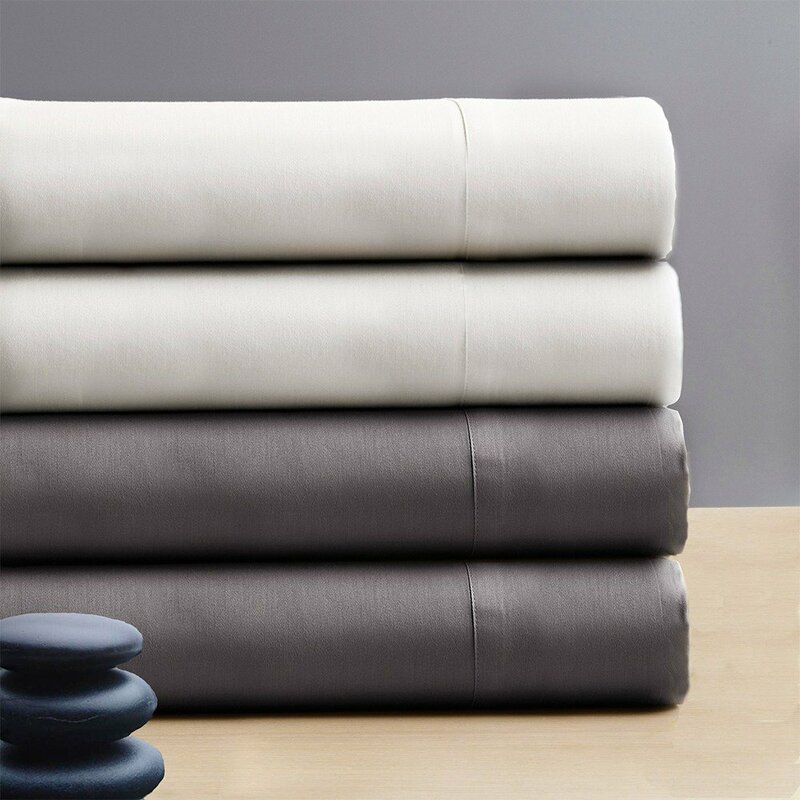 Bamboo rayon is said to be softer than cotton so a lower thread count may still produce extremely soft sheets. Do Bamboo Sheets Make You Sweat? Natural bamboo contains many properties that make it appealing as bedding. Bamboo is antibacterial, moisture wicking and thermo-regulating. All these qualities help to keep you cool (or warm) at night, depending on your body temperature. While there is some debate over whether these properties are transferred from the bamboo plant into the fabric during the manufacturing process, many customers feel that their bamboo sheets stop them from sweating overnight. These characteristics make it appealing as bedding becauseHow Do I Care for my Bamboo Sheets? Avoid bleach and vinegar based products. Bleach and acids like vinegar can damage your bamboo sheets. Opt for more natural cleaning ingredients like baking soda. Wash sheets before use and in cool water with a gentle cycle. Darker colored sheets may bleed more during the first wash so make sure to wash with darker or similar colored fabrics. Dry on a low and gentle cycle as well. Some brands will encourage you to hang or air dry if that possible. Hello. I’ve been searching for sheets that are 70% rayon from bamboo and 30% cotton yet cannot seem to find it anywhere! Do you have any leads? Recommendations? I am working on a bed linen collection that will be block printed in India. I cannot decide if I need to go with 100% bamboo lyocell, bamboo/cotton blend or 100% GOTS organic cotton. It has to be either sustainable or organic, and from what I read 100% bamboo rarely has any of it’s good qualities left after the chemical process it has to go through. My collection is focussed on nursery bedding, so I need to choose a base cloth that is natural and healthy. Hi Yolanda, I think if your linen collection needs to either be 100% sustainable or 100% organic, you might want to consider the GOTS certified organic cotton first because that certification will cover the entire textile supply chain (from my understanding). 100% bamboo lyocell is also a nice option too and I believe it’s 100% sustainable but I think you’ll have to really check with which supplier on how they manufacture the fiber. Hope that helps! In paragraph titled, Do Bamboo Sheets Make You Sweat?